South Korean drug maker Daewoong Pharmaceutical Co. said Wednesday its generic antibiotic, Meropenem, was launched in the United States. 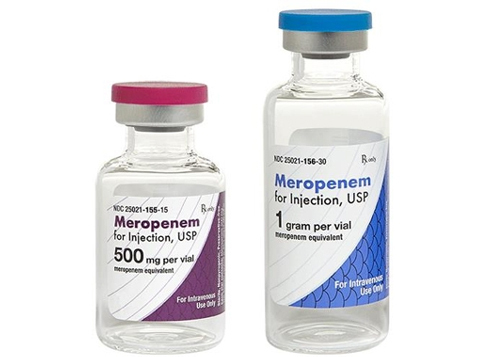 Meropenem, which is used in treatment for a wide range of diseases ranging from serious bacterial infection to general infection, was rolled out under the name "Daewoong Meropenem Inj" in the world's largest pharmaceutical market, it said. In December 2012, the US Food and Drug Administration (FDA) accepted Daewoong Pharmaceuticals' application to sell the antibiotic, which is in reference to multinational pharmaceutical company AstraZeneca's Merrem. It marks the first time for a generic drug manufactured by a local drug firm to be sold the US, company officials said. "The company hopes the launch of Meropenem will boost the image of South Korean pharmaceutical companies in the US drug market," said Lee Jong-wook, vice president of Daewoong Pharmaceutical, in a press release. "The company will step up efforts to bring internationally competitive products."